The synergy between Bollywood and social media has matured over the years. Stars today are smart enough to use social media specially Twitter for their film promotions or to put a lid on ongoing controversies. Whether it was Alia Bhatt’s association with AIB to win over her never-ending Internet trolls, some may call it as an image makeover or the famous fight between Deepika Padukone and TOI, everything happens now on social media. Stardust and Filmfare days are slowly evaporating. So a Bollywood celebrity joining social media isn’t big news in 2015. But what if one of the most popular Bollywood celebrity and the heartthrob of the millennials – Ranbir Kapoor joins social media. Fans go crazy just as the star. 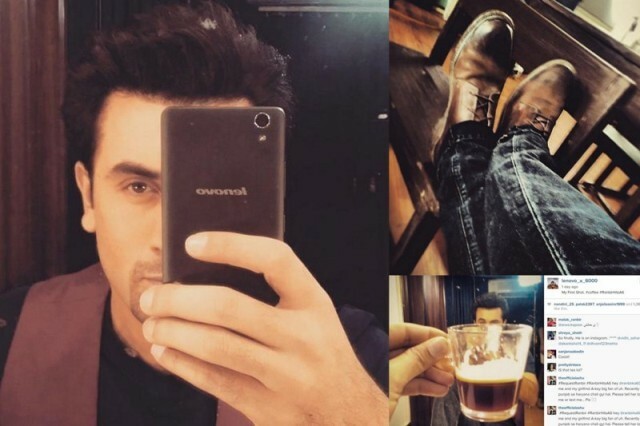 Always reserved about his off-screen life, Ranbir was hesitant in joining social networking sites. “My personal life should be on guard. I will not keep it open. I am not on any social networking sites and I won’t be there also,” Ranbir had told reporters in 2013 prior to the launch of his film, Yeh Jawaani Hai Deewani. Ranbir who endorses major brands like Pepsi and Tata Docomo, was picked up by Lenovo last year as the brand ambassador for its smartphones. The youth icon already endorses Lenovo’s PCs and tablets. As part of the alliance, Ranbir gave his face to the yet to be launched Lenovo A6000 – the most affordable 4G phone in India. Priced at Rs.7000 with snapdragon 410 chip set, Lenovo wanted to reach out to the millennials in the country in a creative and long standing impression. The smartphone market below Rs.10,000 is literally a war zone and to grab attention brands along with their agencies are trying everything from trending hashtags, mega contests to celebrity interaction and more. What could Lenovo do to reach out to the millennials in the way they would like to be? – was the pertaining question for Lenovo and its digital agency Experience Commerce. The idea that finally got the nod from the brand was – Can we get Ranbir on social media for a day and have fun with his fans the way he wants? Risky but after hearing the pitch within five minutes Ranbir was all game for having fun for six hours with his fans on social media. 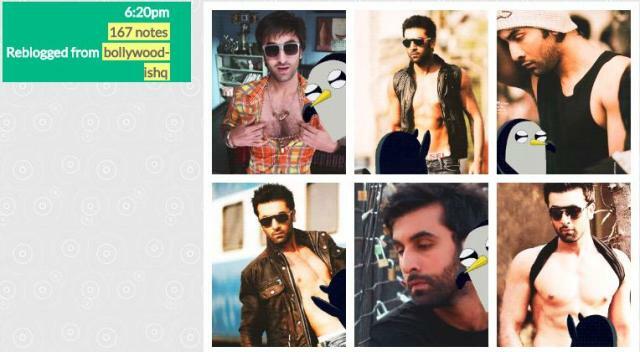 Thus began the Ranbir madness on 21st January, 2015 for six hours on six different social networking sites! Every social network has its unique charm and if one can weave that charm with original content, numbers will follow you any which way. To start with EC decided to select three popular platforms – Facebook, Twitter and Instagram and select another three that are growing and are popular among today’s youth – Tumblr, Vine and Snapchat. Social media buzz started from 19th January, Facebook page – RanbirKa6000r got an updated cover page which was enough to set the social media party on. Meanwhile fan clubs of Ranbir on Twitter did the remaining job and prepared him for a warm welcome. On 21st Ranbir started with Twitter, thanking his fans for the warmest welcomes and a video to show how he really did that. With that first tweet #RanbirHitsA6 started trending on Twitter trends, and showed no signs of dropping while he was active on social media. Then followed the madness on Instagram where right now he has more than 4K followers in a matter of 24 hours. According to EC, Ranbir was really stuck to Instagram and all the eight photographs on the network that made girls mad, were taken by him with his Lenovo A6000. Check out his first shot of the day, #shoefie and #halfie all on Instagram. Thereafter Ranbir was busy creating emojis on Snapchat, asking for tips to gain followers on Vine and challenging Hoezaay on Vine. Meanwhile he continued to spread the madness on Twitter; he asked his fans to send requests as he wanted to do something special for the amazing Twitter love. Fan requests poured in on Twitter and Facebook while Ranbir performed them in the best of spirit. Twitter right now has 31K followers and Facebook has 122K likes on the page. Tumblr also holds re-blogged content shared by crazy Ranbir fans and it goes without saying that it got the maximum traction on the platform. “In India, the land of Bollywood, it’s easy to see how we are all big fans of engaging content/videos stories. We lead the rest of the world in online-video consumption by 21%,” Partho Sinha, National Creative Director at DigitasLBi said while sharing his thoughts on how visual content on social media will evolve in 2015. Lenovo’s recent social media campaign was tied around original visual content backed with co-creation. 2014 has proven the impact of co-creation campaigns, and the same was seen in #RanbirHitsA6. From trending on Twitter, to getting maximum exposure from each of the social media networks in less than 24 hours, is just commendable. It only shows that a brand can have an impact on multiple social networks only if it uses the uniqueness of a social network by creating original content. An Instagram user wouldn’t budge if you post a Facebook image or a Twitter video on it. “It was an experiment for us. We don’t know if creating a TVC would have helped but we wanted to reach out to the millenials in the way they respond. The appreciation of the visual content on Snapchat, Instagram, Tumblr hints that we were able to reach out to our target audience,” added Sandip Maiti, Founder at Experience Commerce. The agency had plans to use YouTube too but dropped it due to a lack of time. “Ranbir’s support has been commendable. While it wasn’t possible for him to reply to everyone, he would pop by every now and then on a the giant screen that was curating all the conversations of the campaign,” added Tania. But not every one was happy, specially the Salman and Shahrukh fans who tried to hijack the trend but couldn’t. Fans knew that Ranbir was out there to promote a smartphone but the real time story that was created in those six hours was believable. “We didn’t want to post content with Ranbir’s video/image asking his fans to buy the phone. With that approach you kill the entire campaign,” informed Sandeep. Now let’s hope all this buzz on social media will draw Ranbir’s fans to the Flipkart site which has opened up the registration window for the Lenovo A6000. The phone is available from Jan 28th for only those who register before the midnight of Jan 27th.